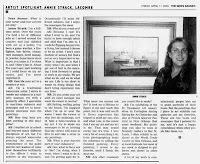 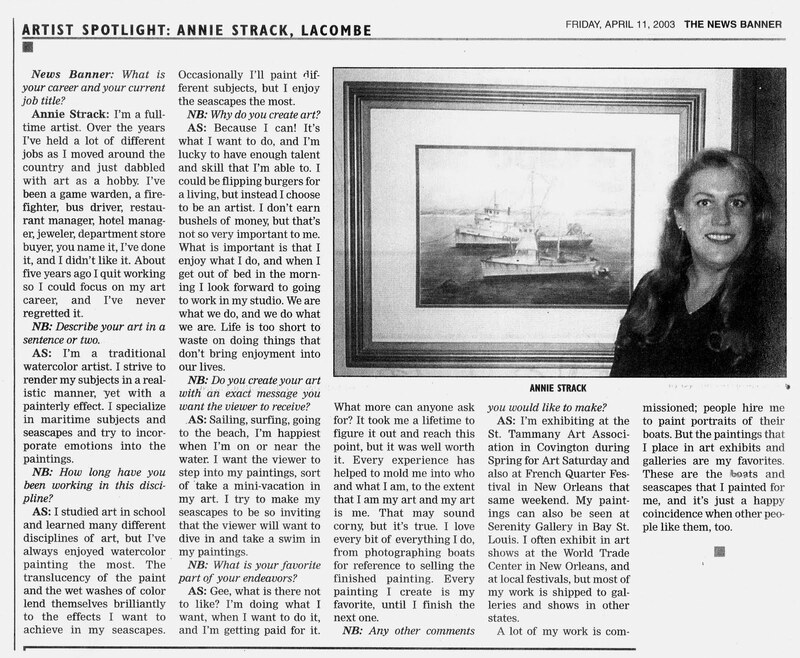 Annie Strack has been featured in numerous newspaper and magazines. 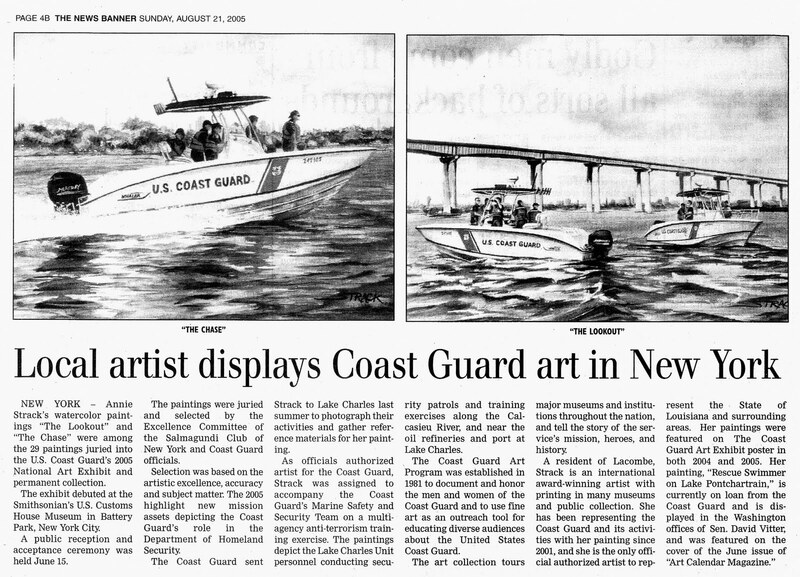 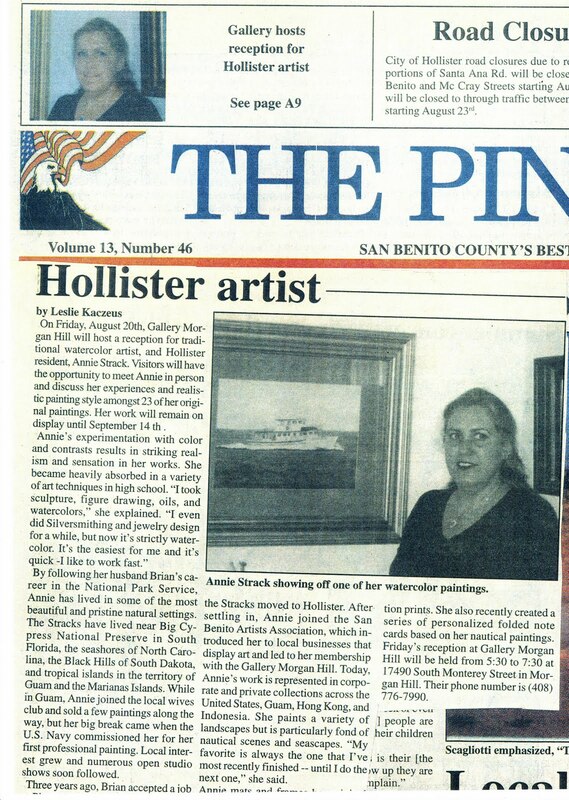 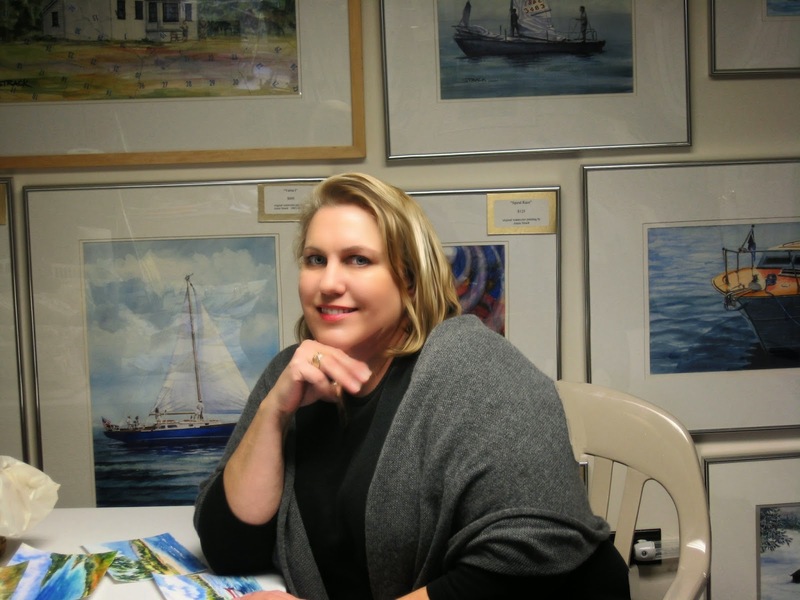 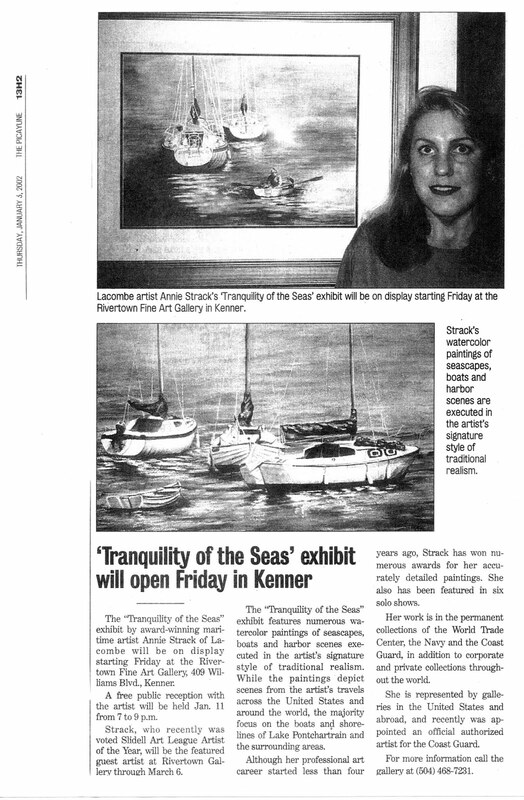 Click here to read "Nautical Notions: An Artist Inspired By The Sea" a recent profile article published about her in the Louisiana Homes and Garden Magazine. 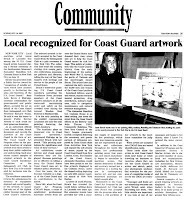 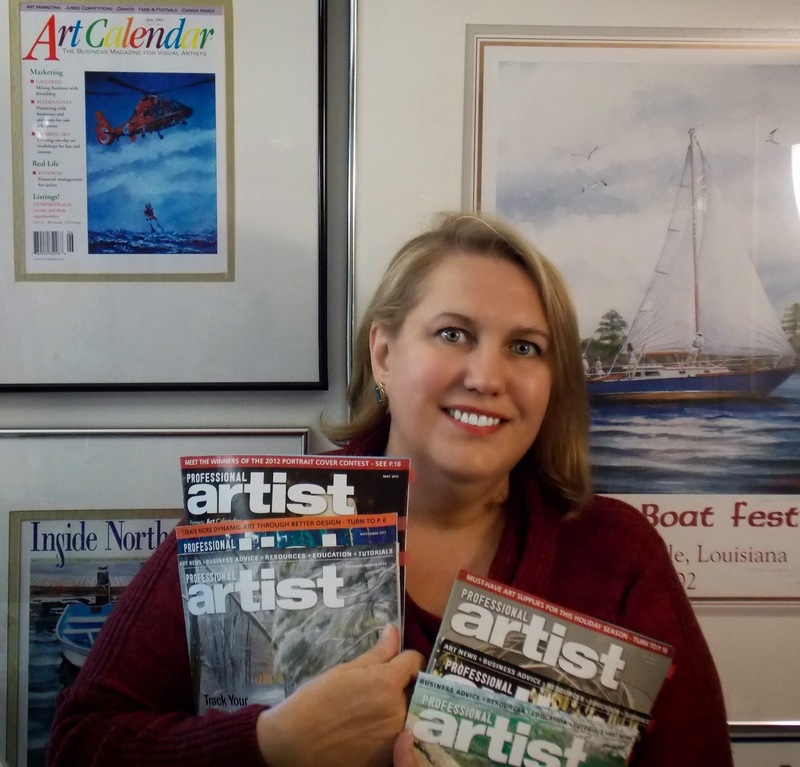 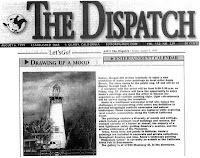 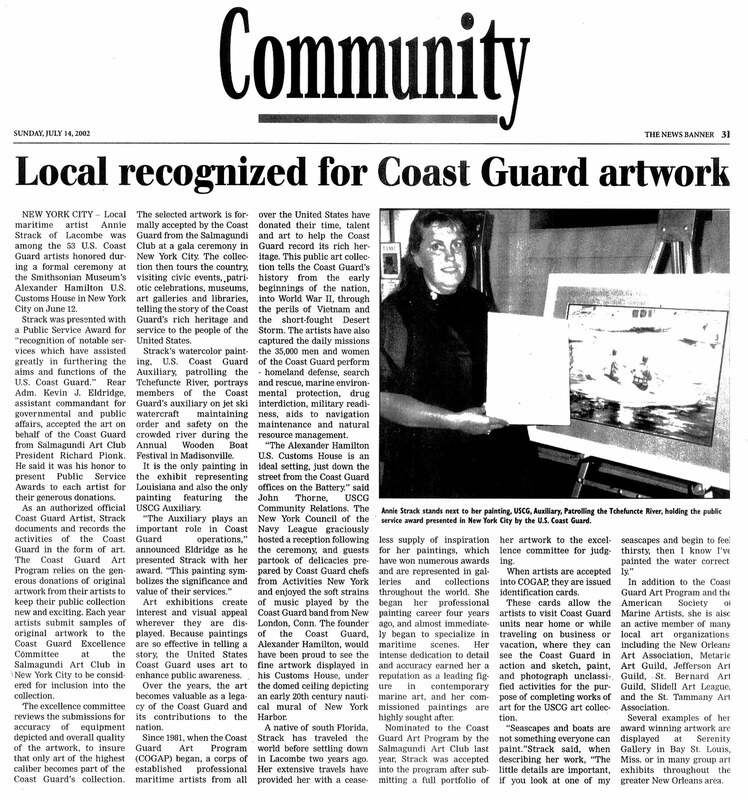 Click here to read "Tug of the Tides -- Artist Annie Strack," a well written article in Inside Northside Magazine, which also featured her award winning artwork on the cover of the publication. 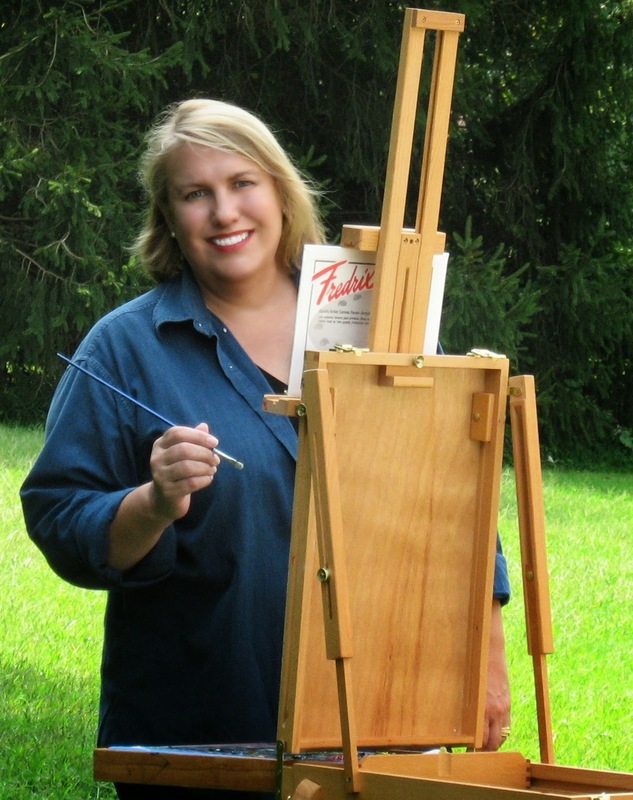 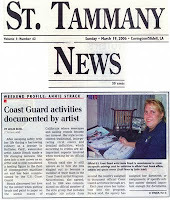 Click here to read "Annie Strack -- This Lacombe-based Artist has her Eye on the Future." 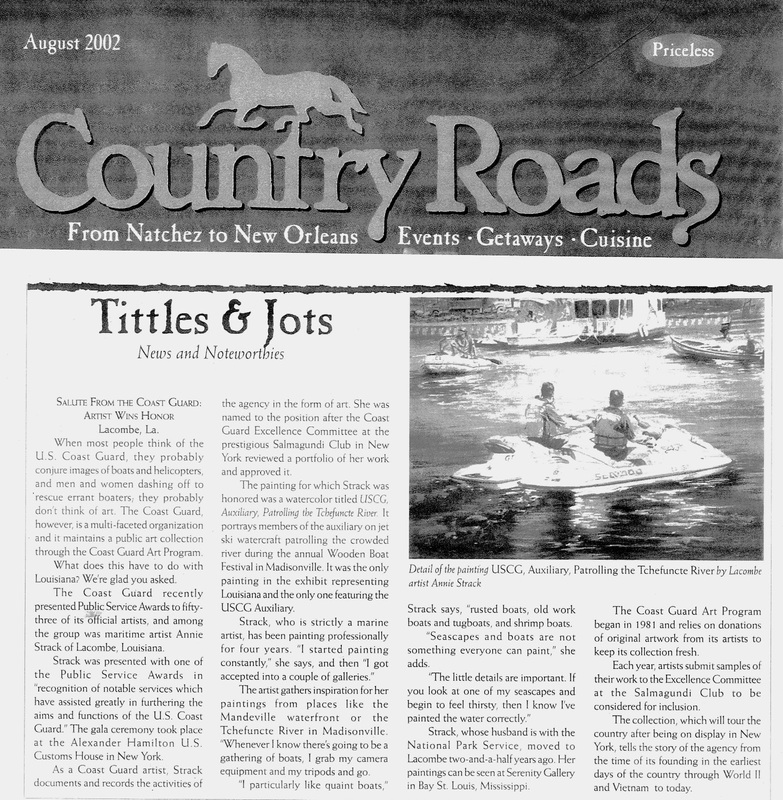 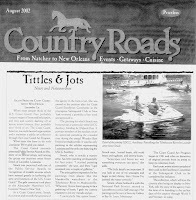 A new feature article in Louisiana Life magazine written by John Kemp. 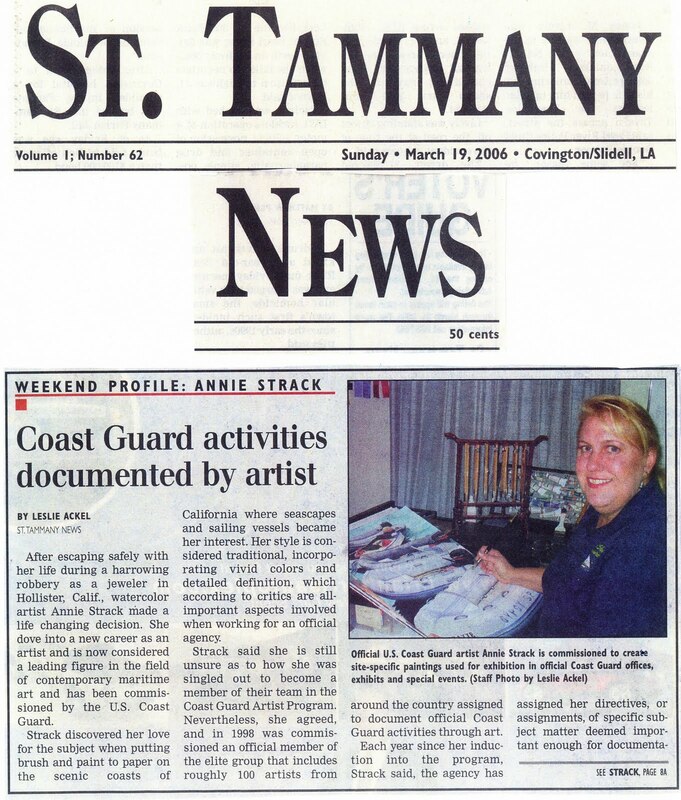 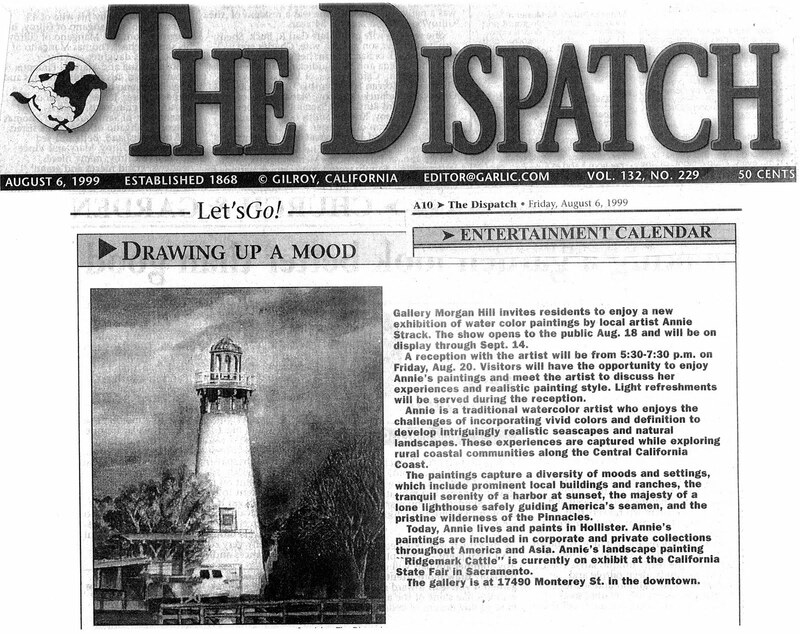 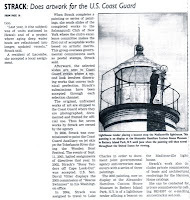 All across the country from California to Florida, numerous newspapers have profiled the amazing talents of Annie Strack. 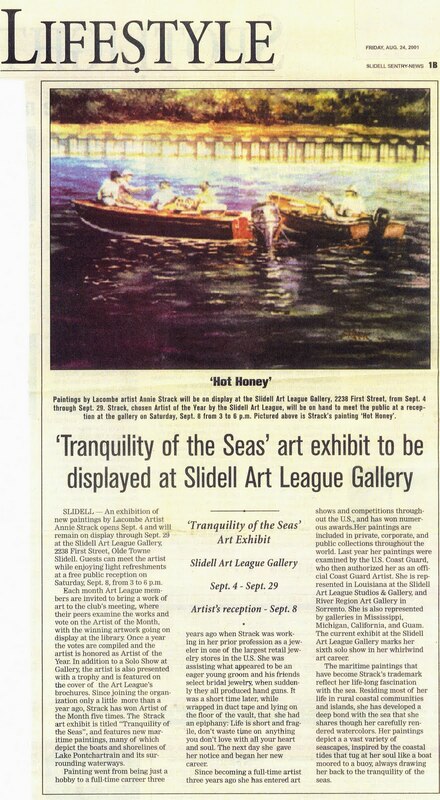 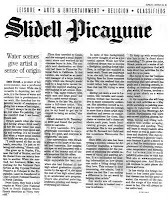 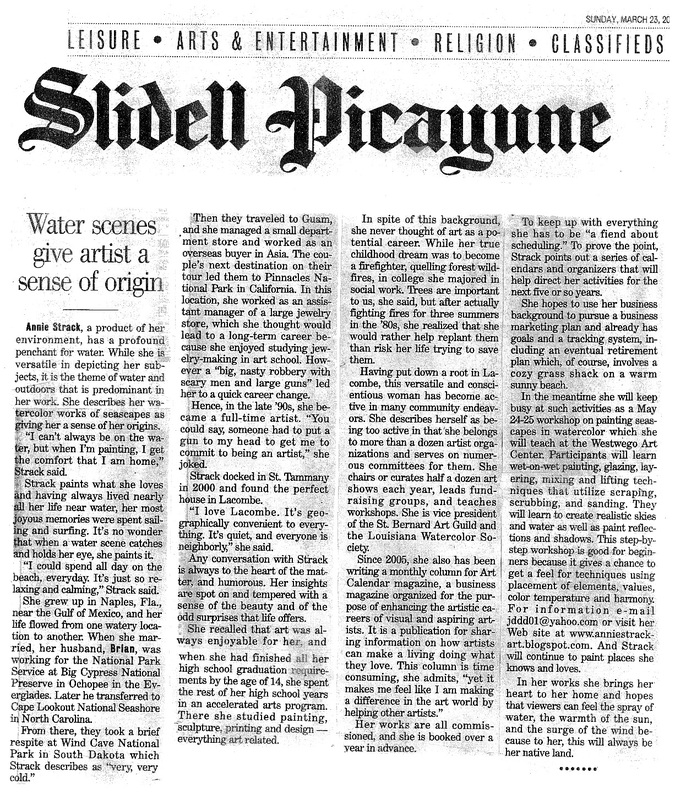 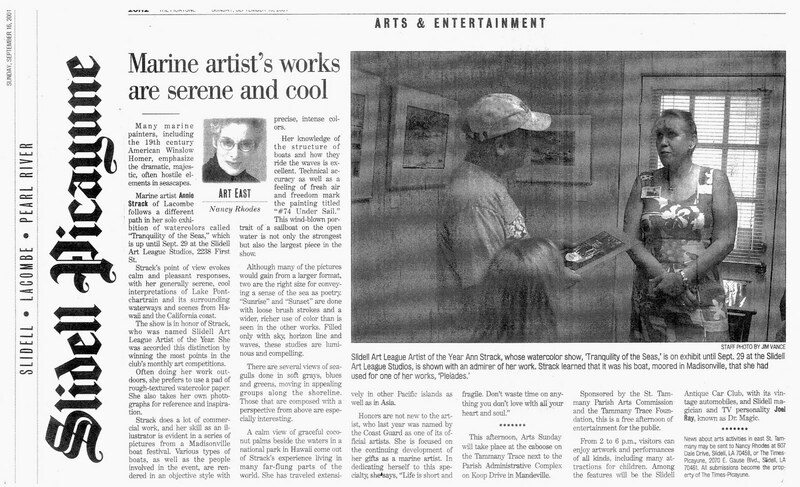 Click on the image to read "Water Scenes Give Artist Sense of Orgin," the lastest profile feature written by Kathleen Deshotel for the Times-Picayune. 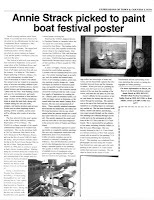 "Developing a Formula for Pricing your Artwork"
"12 Tips for Retail Craft Sales"
"Enhancing the Art Buying Experience"
"Creating a Niche Market for your Art"
"Judge and Jury: What to Expect When Entering Art Shows"
"Develop Your Personal Plan for Art Career Success"
"How to Sell Custom Ordered Artwork"
"The Business of Cartoon Art"
"The Murals of Lake Placid - How Art Revived a Town"
"Cashing in on Artist Services"
"Creating an Artist Friendly Community"
"How to Ace Your Next Media Interview"
"How to Write Your Artist Resume"
"How to Write Your Artist Statement"
"How to Write your Artist Bio"
"How to Prepare your Studio for Visitors"
"10 Easy Tasks to Grow your Art Business in the New Year"
In 2007 Annie Strack created a design for the Fleur de Lis Fore!Kids, Public Art Project. 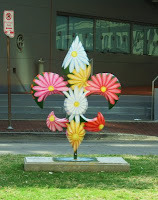 Her Fleur de Lis was installed on the neutral ground in front of the Ernest N. Morial Convention Center, in downtown New Orleans.